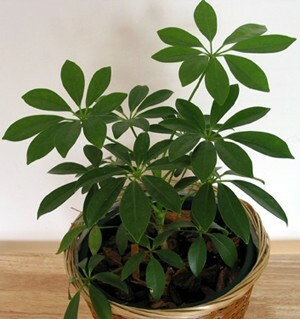 Schefflera arboricola–Pittmans Pride-araliaceae - A nice dwarf version of schefflera for small pots, windowsills, etc. It was introduced over 6 years ago. S. 'Pittmans Pride' produces an exceptionally in a full 10 inch pot without pinching. It grows slower than it’s larger relative.